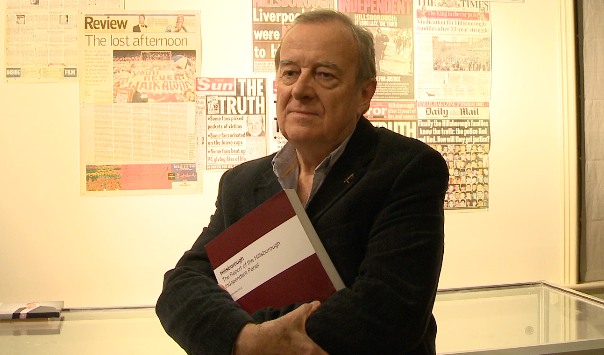 Professor Phil Scraton who played a prominent role in an independent investigation of the 1989 Hillsborough football disaster. NEW figures which show 44 inmates have died in Northern Ireland over the past decade have led experts to question whether lessons are being learnt by prison authorities. In a further development, it can be revealed by The Detail that the circumstances of over a third of the deaths have yet to be fully investigated. 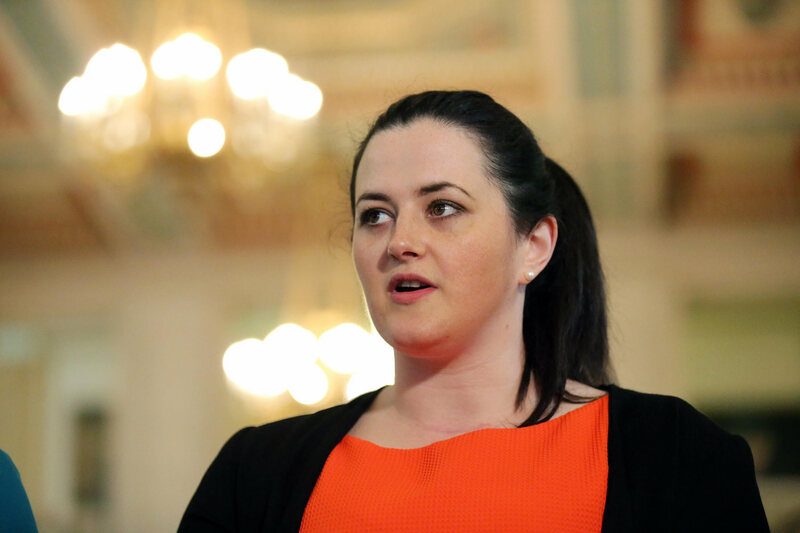 Justice Minister Claire Sugden announced an internal Stormont review into vulnerable inmates in November following the deaths of two prisoners within 10 days of each other. But one of the experts who played a central role in the independent panel that probed the 1989 Hillsborough football disaster said a similar inquiry is now needed into the state of Northern Ireland’s prisons. Professor Phil Scraton, of Queen’s University Belfast, who has studied prisons for four decades, said the number of deaths, the level of self-harm, plus the scale of mental ill-health in jails were among a host of issues that required examination. “It has to be independent. I am not talking about an internal review carried out by the prison service,” he said. “There cannot be individuals or organisations who could be deemed as interested parties involved in carrying out the inquiry. “I am essentially talking about a Hillsborough Independent Panel style inquiry. “What has been happening in prisons in Northern Ireland, particularly around the issue of vulnerable prisoners and the rate of self harm and suicide, is of that magnitude. The prison service has also been hit by staffing shortages, problems retaining prison officers and criticisms of the success with which it has reformed the structures established during the decades of the Troubles. Maghaberry inmates accounted for the highest number of deaths since January 2007 with nearly three quarters of the total , followed by Magilligan with eight deaths. There have been six prisoner deaths so far this year – all of which happened in Maghaberry. Natural causes and terminal illness accounted for 18 deaths across the ten-year period, followed by hanging which was found in the cases of 17 prisoners. Drugs featured in six deaths. Meanwhile, of the 44 deaths that took place over the past decade, the circumstances of over a third  have not yet been fully examined by a coroner. Click here to see a database on prison deaths compiled by The Detail. A breakdown of prisoner deaths in Northern Ireland from 2007 to 2016 by prison and cause. Guidance by the World Health Organisation states prisoners should receive the same level of medical attention as they would get in the community. However, in at least five of the cases where death was a result of natural causes or terminal illness, independent experts raised concerns over the level of care received within the prison, including access to health services and late diagnosis. Meanwhile, the current Prisoner Ombudsman has raised concerns that the number of self-harm incidents and prisoner deaths could rise as a result of an increase in unplanned lockdowns in jails - which is when prisoners are kept confined to their cells. His comments follow reports by independent inspectors that link a rise in prisoners being kept confined to their cells with staff shortages. Issues over retention of prison officers, sickness levels and allowing too many experienced staff to leave the organisation through voluntary exit schemes have been blamed for a reduction in numbers of staff. The Detail reported last month that one in four new recruits taken on under major reforms of the prison service since 2012 have left their jobs. There are further concerns over the potential for future lockdowns after staff at Maghaberry and Magilligan voted in favour of industrial action, up to and including a strike, in a bid to draw attention to a dispute over pay and conditions. The Northern Ireland Prison Service declined to answer any questions on deaths in custody, instead referring The Detail to Ms Sugden’s statement to the Assembly in November where she announced her review of vulnerable inmates. At that time the minister said that over 75 per cent of inmates have a mental health or addiction issue. The Detail asked the South Eastern Health and Social Care Trust, which is responsible for health provision in prisons, to comment on our findings on the number of deaths and on preventative action taken by the authorities. A spokesperson identified a series of strategies put in place and addressed the scale of the issue, saying: “The issue is complex and needs to be set in the context of societal, regional and national trends. “Firstly, Northern Ireland has a higher rate of suicide than other areas of the UK. Secondly, the Strategy for Suicide Prevention in Northern Ireland ‘Protect Life’ recognises that self-harm and suicide is a societal issue requiring a response from all government departments. “In the context of the prison, there are many variables impacting on a prisoner's mental health and wellbeing such as the prison environment and regime, bullying, trading of drugs and lockdown of prisoners leading to long periods spent in cells. Click here to view the full statement provided by the trust. IS AN INQUIRY NOW NECESSARY? Queen’s University Professor Phil Scraton is calling for a full independent inquiry into mental ill-health, self-harm and deaths in custody. He is a founding member of INQUEST, a UK charity which supports bereaved families and helps with inquests. He said he has made a number of recommendations to the authorities, but said they have yet to be addressed. “There are complex reasons for such deaths. Mental ill-health, family issues and personal despair impact on many people,” he said. Professor Scraton raised concerns about healthcare provision in prisons and said he believed prisoners will continue to die until there is a “full and thorough policy and programme of prisoner healthcare that addresses all aspects of the life cycle of each prisoner”. Justice Minister Claire Sugden outlined a series of proposed actions to the Northern Ireland Assembly after the fifth death of a prisoner this year. Last month Justice Minister Claire Sugden announced a review of vulnerable people in custody and said she had met with Health Minister Michelle O’Neill to discuss how to proceed following five deaths of prisoners in a year. A sixth person died on November 30, after the minister’s statement. She also told the Assembly that the prison service will work with the South Eastern Health Trust to review its Supporting Prisoners at Risk policy. Read the minister's full statement here. There are around 1,500 prisoners behind bars in Northern Ireland, according to the latest statistics from the Department of Justice from December 2016. When a prisoner dies in custody, both the Police Service for Northern Ireland (PSNI) and the Prisoner Ombudsman for Northern Ireland are notified. The Northern Ireland Prison Service also completes an internal investigation and there is a statutory obligation for the coroner to be informed and for an inquest to take place. The Prisoner Ombudsman’s office, whose role is to investigate deaths in custody and prisoners’ complaints, was established in 2005. Since then, it has published 36 reports on prisoner deaths. In the 44 deaths that took place over the past decade, the circumstances of over a third  have not yet been fully examined by a coroner. An inquest has still not been held to examine the death of a 64-year-old prisoner at Magilligan who died of Legionnaire's Disease nearly 10 years ago. There is one inquest pending from 2008 and four still to be held into the deaths of prisoners in 2011 and 2012. A number of more recent cases are also awaiting investigation. Read how such a delay has affected the mother of a prisoner who died at Maghaberry here. Beyond the 18 cases that have yet to be examined by a coroner, a further three did not proceed to a full inquest after the investigating coroner was satisfied the inmates died of natural causes. The information obtained, however, also included the case of a prisoner who died of a terminal illness though his case was not referred to a coroner. Click here to see a database on prisoner deaths in Northern Ireland collated by The Detail. A prison watchdog has expressed concern that an increase in prisoners being kept locked in their cells raises the likelihood of incidents of self-harm and death. 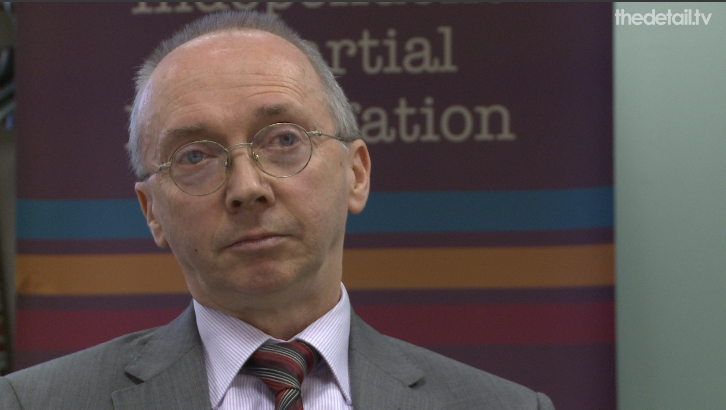 Northern Ireland’s Prisoner Ombudsman Tom McGonigle spoke about his fears in response to the analysis by The Detail which found there were 44 deaths in custody over the past decade. Mr McGonigle said his office receives a lot of complaints from prisoners about being kept locked in their cells, known as lockdowns, in particular those which happen at the last minute. “Lockdowns concern me, especially unpredicted lockdowns,” he said. Northern Ireland Prisoner Ombudsman Tom McGonigle is concerned about prisoners being kept locked in their cells too frequently. Independent inspectors and members of prison oversight groups have highlighted an increase in prisoners being kept confined to their cells as a result of staff shortages, though the issue was also affected by staff sickness. Concerns had been raised that too many experienced staff members were allowed to leave when 520 prison officers were offered early redundancy packages between March 2012 and May 2014 under a major reform programme. This equated to around a third of the overall staff. More than 300 staff voted in a ballot last month over taking significant industrial action in the future, in a bid to draw attention to a dispute over prison officers’ pay. Of those who participated, around 75 per cent voted in favour of taking industrial action, up to and including strike action, according to Prison Officers’ Association chairman Finlay Spratt. He said that prison officers at Maghaberry and Magilligan backed the prospect of future action whereas staff at Hydebank did not. In response to issues raised over staffing, a spokesperson for the Northern Ireland Prison Service previously said a further 100 new employees will have joined the organisation by the end of January next year, with plans for additional new staff during 2017. However, he said he did not think the current situation in Northern Ireland’s prisons is as serious as in England and Wales where there have been a number of high-profile incidents in recent months, including riots, prison escapes and inmates killing other prisoners. There have been 324 deaths in prisons in England and Wales during the 12 months leading up to September. This is a 21 per cent increase from the previous year. There has also been an increase in self-inflicted deaths and assaults on prison staff. Furthermore, members of the Prison Officers’ Association in England and Wales have staged a number of walkouts. Mr McGonigle said: “I do feel the significant spike [in deaths in custody] in England and Wales over the past two to three years is linked to a reduced number of staff there. “It stands to reason that if a man or woman prisoner has a heart attack or attempts to hang themselves and an officer cannot respond sufficiently quickly to summons an ambulance or paramedic, or to get nursing staff, there's more risk of death or serious health harm. Click here for an overview of deaths in custody across the island of Ireland.